Open Seat will partner with Sigma Alpha Omega sorority for the competition. Open Seat Food Pantry is located on the 4th floor of the Student Activity Center (SAC) and is run by students. 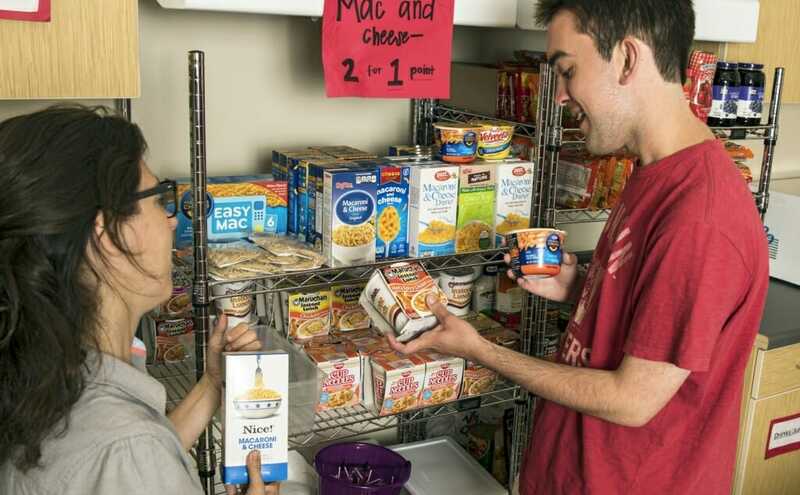 Just by presenting a valid Wiscard, UW–Madison students are able to gain access to non-perishable food, some produce, non-expired cans and other unopened packages weekly. This semester alone, Open Seat has had more than 500 visits, the most it’s ever had. Open Seat works to help fight the issue of food insecurity. A national study in 2016 showed that an estimated 20 percent of students at four-year colleges are food insecure. Open Seat does not perform financial or background checks of any kind, so all students are welcome. Rachel Daniels, internal director for Open Seat, came together with two real-time captioners for deaf and hard-of-hearing students on campus, Ginny Divine and Kris Wurgler, to create this competition. They work at McBurney Disability Resource Center. “I think the friendly competition will help increase donations right before the holidays, which is perfect timing. It seems that there’s already a lot of interest in it and I think it should help us tremendously,” said Daniels. The two staff members had heard students speak about food insecurity on campus, and thought this effort would help. “When we talked with Rachel, we were really impressed with all the work they do. We were curious how could Ginny and I, or even bigger, help out when there is a need,” Wurgler said. Daniels sent out an open call to various groups in Greek life asking for assistance throughout the competition and Sigma Alpha Omega, a Christian sorority, responded. The volunteers will assist in gathering the donated goods and delivering them to the food pantry. The week-long competition will consist of donating to large bins at each of the departments and weighing the donation amounts by the pound per day. The posters, and all of the marketing material, was developed by the Integrated Marketing Communications group, which is a program in the School of Business. The winning department will win a certificate, ice cream treats and bragging rights. “While we have quantity in mind, our main hope is to bring awareness and enough donations to the food pantry so that no one has to go hungry this holiday season,” said Divine. More information about bin locations and donation times throughout the competition and year can be found here.